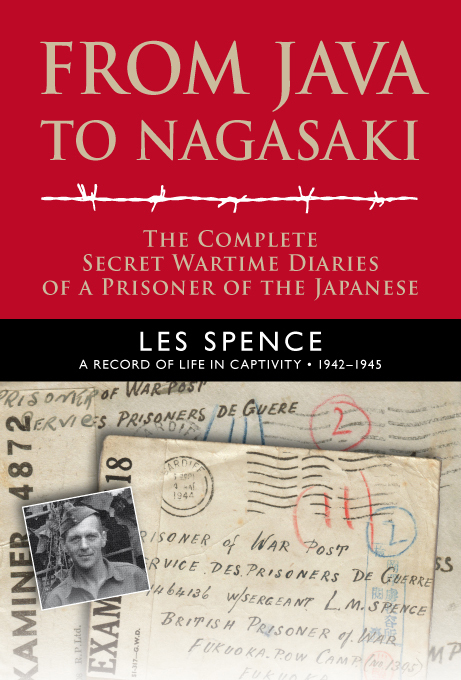 As we approach the 70th anniversary of D-Day, here’s a little feature on a place of great focus to veterans on June 6. 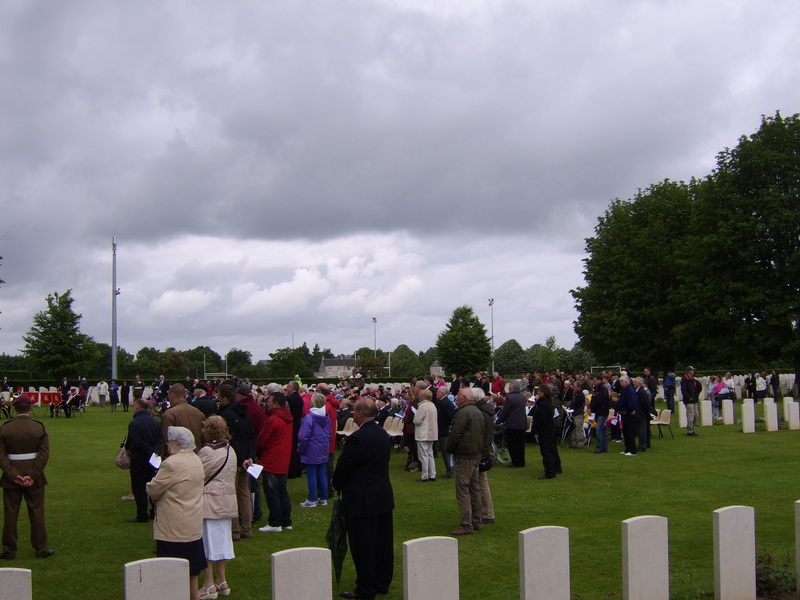 Every year a special service of remembrance is held at Bayeux War Cemetery. It is a very moving event. These photographs were taken two years ago, on June 6, 2012. The event was attended by many veterans and their families. 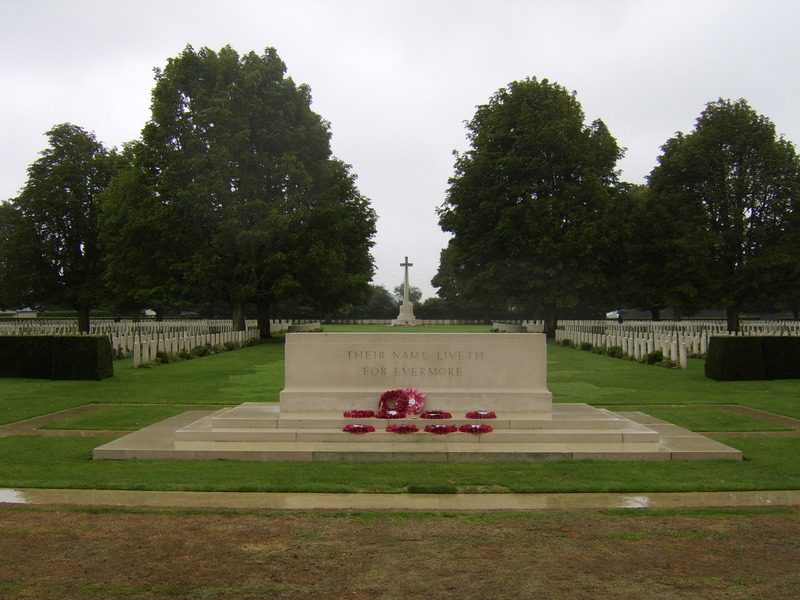 The cemetery contains 4,144 Commonwealth burials of the Second World War, 338 of them unidentified. 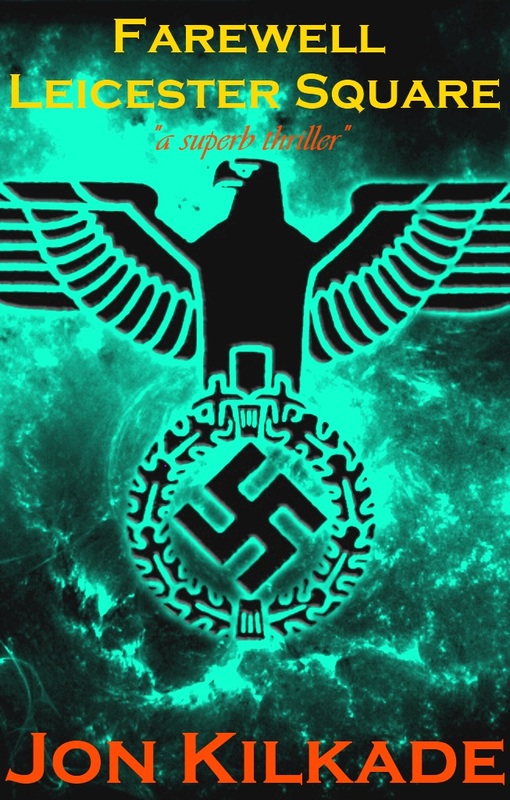 There are also over 500 war graves of other nationalities, the majority German. A selection of photographs taken during a recent visit to Pozieres British Cemetery. 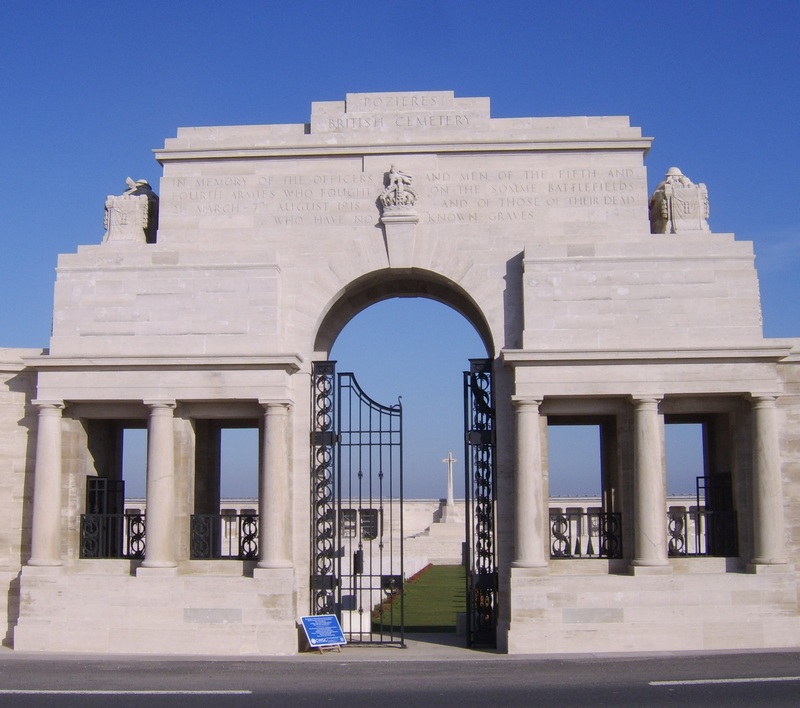 Pozieres is a village about six kilometres north-east of Albert, and the cemetery is a south-west of the village on the north side of the main road (D929) from Albert to Pozieres. According to the Commonwealth War Graves Commission website, the village of Pozieres was attacked on July 23, 1916 by the 1st Australian and 48th (South Midland) Divisions, and was taken on the following day. It was lost on March 24-25, 1918, during the great German advance, and recaptured by the 17th Division on the following 24 August. Here are three Australian graves from the cemetery: Privates DB Harford, FB Dowling and L Robinson. 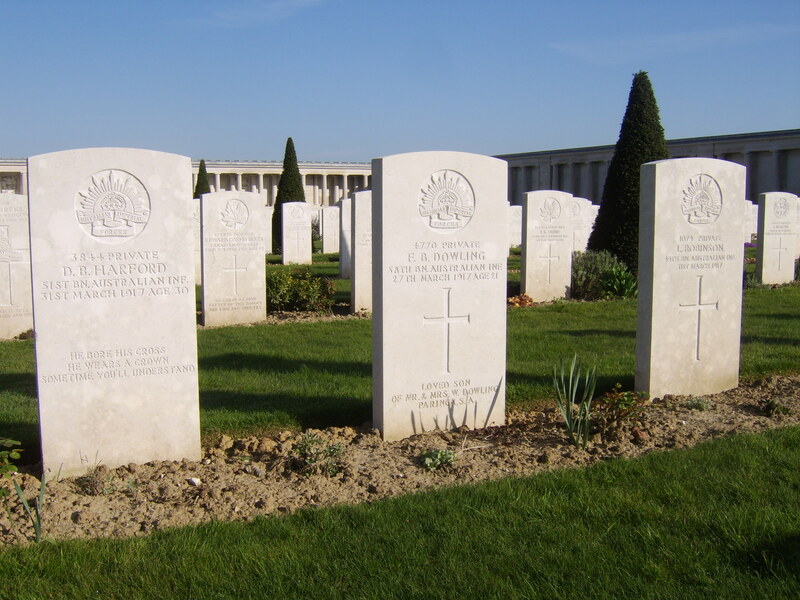 Three Australian graves at Pozieres. 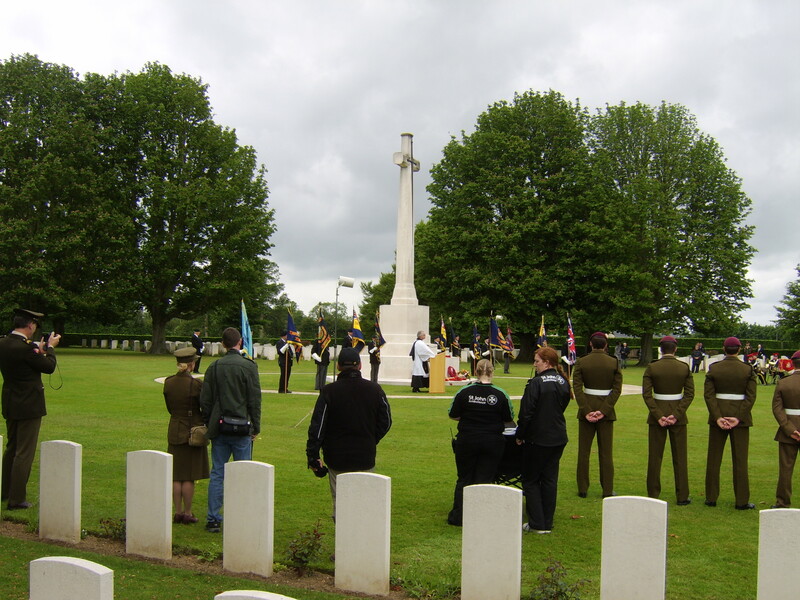 There are 2,760 Commonwealth servicemen buried or commemorated in this cemetery -1,382 of the burials are unidentified but there are special memorials to 23 casualties known or believed to be buried among them. 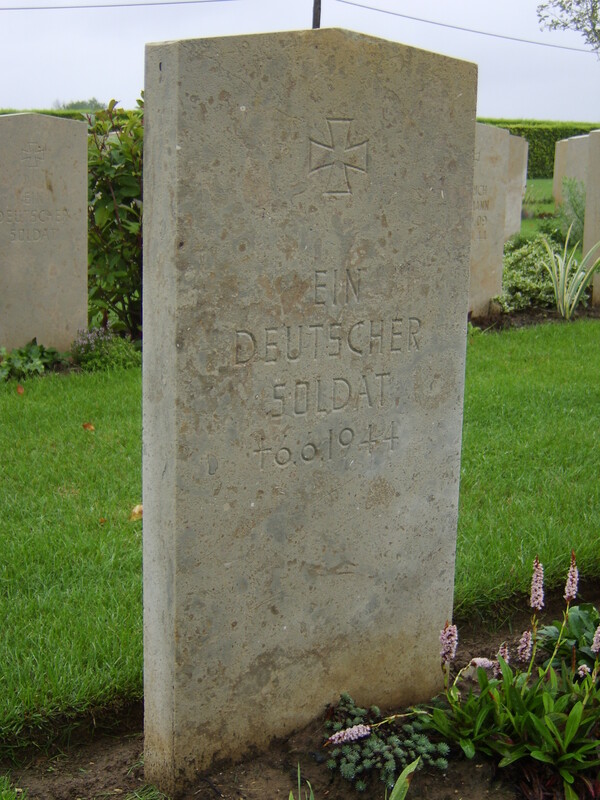 There is also one German soldier buried here. 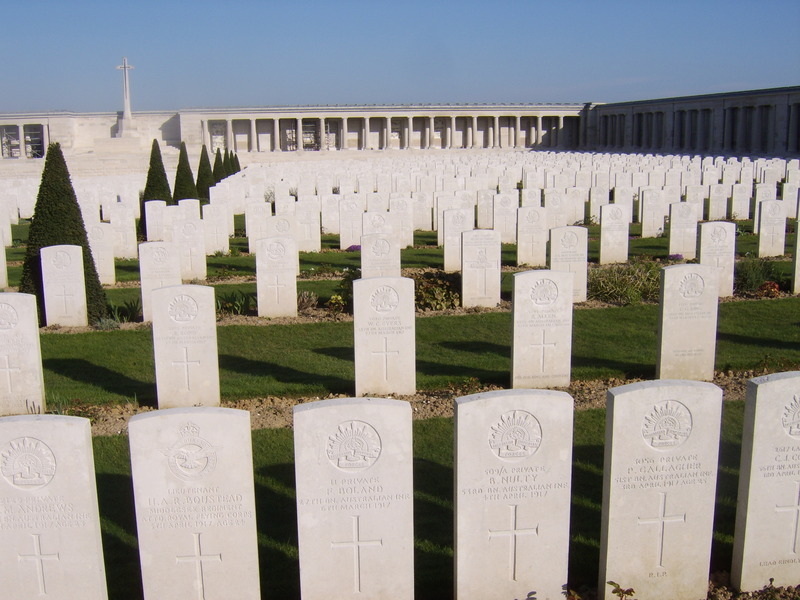 Lines of graves at Pozieres. 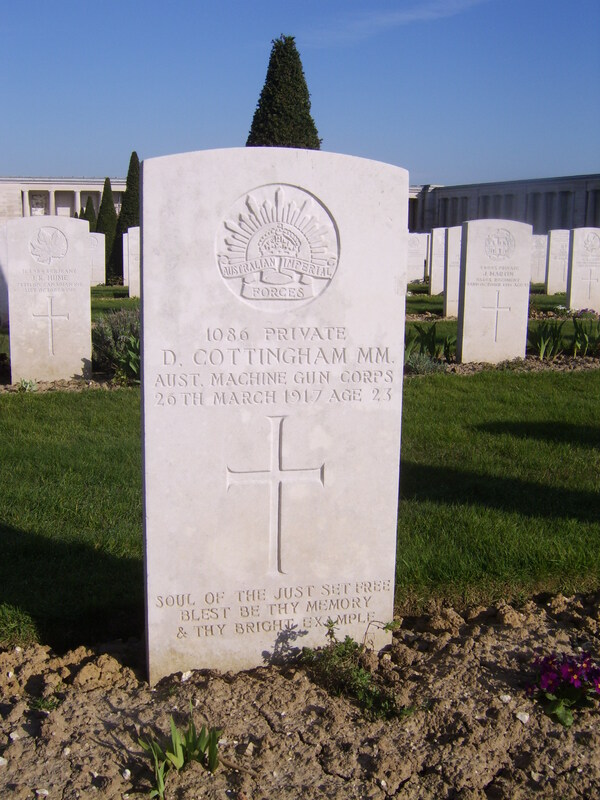 This grave contains the remains of Military Medal winner, Private D Cottingham.